Over the past few months I have been experimenting with my Little Cotton Rabbit pattern. 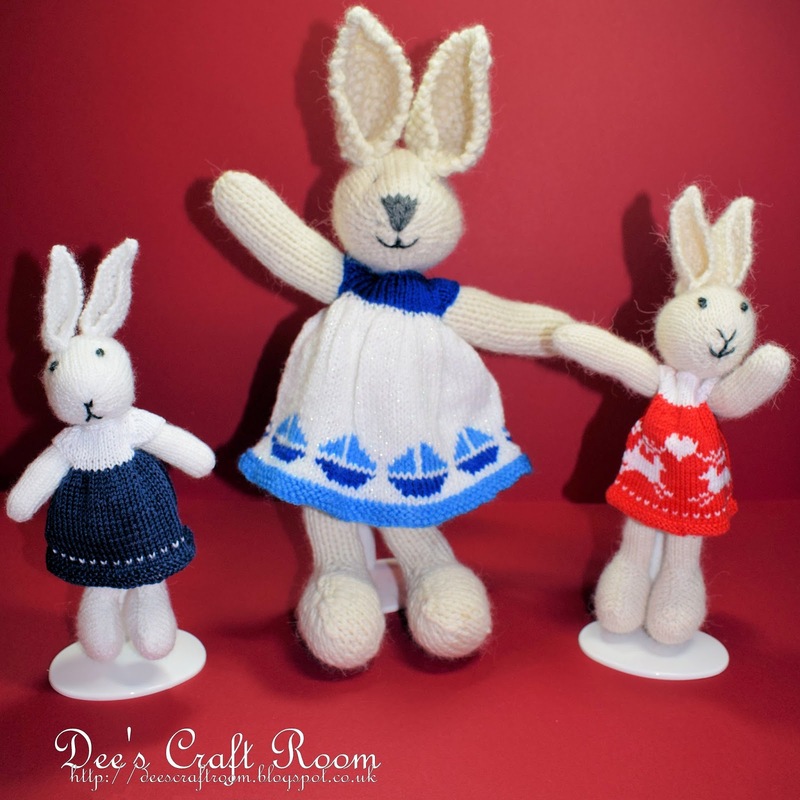 I was looking for a slightly larger rabbit which would be the correct size to fit the elf clothes I knitted for my niece last summer. When I gave my niece her elf clothes she remarked that it would be a dreadful waste if the dresses and jumpers no longer had a use after her children had lost interest in their Christmas elves. Those of you who regularly visit my blog will know that although I had used my 'Little Cotton Rabbit' patterns to make the elf clothes for my niece, her elves are larger than the Little Cotton Rabbits and their friends and I had made the clothes from double knit yarns instead of the recommended 4 ply. 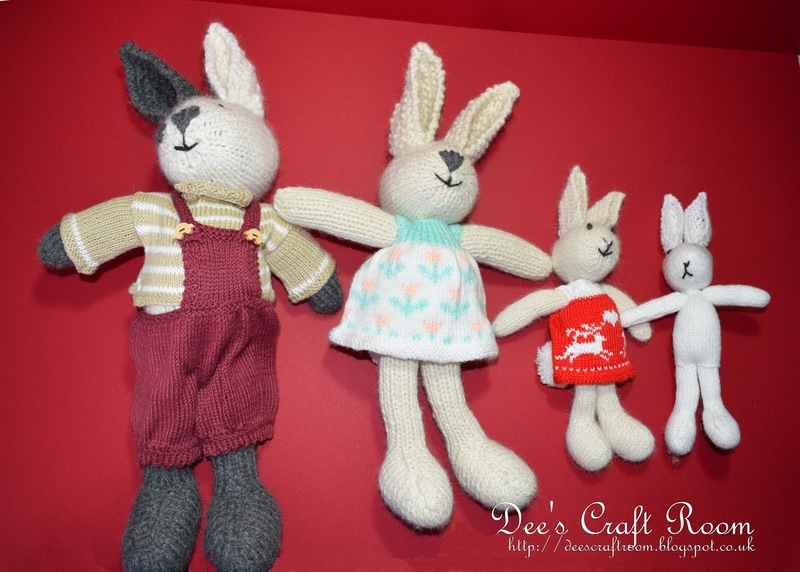 Therefore I needed to come up with a toy which was larger than the Little Cotton Rabbit range. My solution was to experiment with different yarn plies. 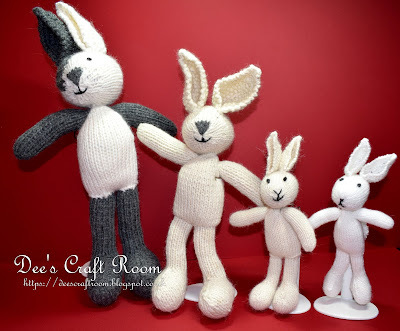 I used exactly the same pattern for each of these rabbits, the only difference was the type of yarn used. The largest of these rabbits measures in at approximately 50 cm from ear tip to heal. I made him from chunky knit using 5 mm needles. I had never used this yarn before and was amazed at how large he was. I actually ran out of yarn, which is why he is two toned. Clearly this big rabbit was far too big to fit the elf clothes so I tried again. This time I used the same chunky yarn but this time I knitted it on 3 mm needles. I have already posted about this rabbit and you can read more about it here. The next bunny was the normal sized 'Little Cotton Rabbit', made from double knit yarn and, finally, I made a smaller bunny using 4 ply. Clearly these two rabbits were not going to fit the elf clothes but I was curious to see how small I could go with the design. None of these experiments were suitable for the elf clothes and I continued searching for a suitable yarn and eventually I tried Aran yarn, which was a much better fit for the clothes. I made a fabulous teddy bear for my niece from the Aran yarn, which you can read about here. I shall continue to give you a more detailed look at each rabbit but I wanted to take this opportunity to put their relative size into context for you. Thank you Carol. 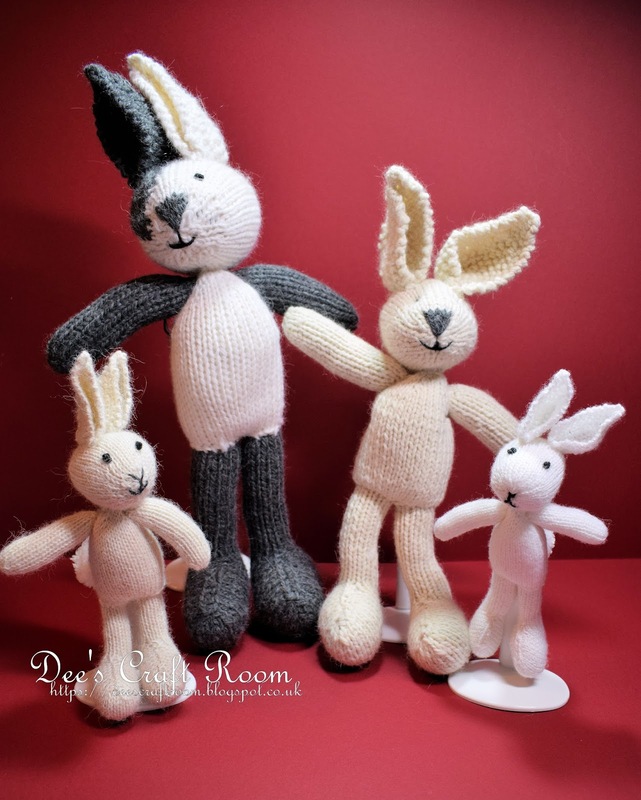 I have a secret to share with you, I made a lot of 'Little Cotton Rabbits' and their friends last year and I gave every single one of them away - except the that large two toned rabbit, I just could not bring myself to part with him. Thank you Pamellia. This was a lot of fun to play around with and the larger toys are now in demand within the family. 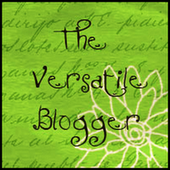 I just wish I had thought to write down which needles I used with the various yarns. I have just finished another toy using the Aran yarn but I think I used the wrong needles this time. Never mind! Ha ha, I had not noticed that before but you are quite right. I think she has got quite full of herself becuase she became my model for all the Advent Calender dresses. The fame went to her head a bit!